Hey Jess! Tell us a bit about yourself. Hello! I’m Jess – a dog mama, plant-lover who loves wearing black. I’m also a theatre producer/director/consultant. I co-founded Deafferent Theatre, an award winning company that makes theatre for and with deaf and non-deaf people. I also work as an Access/Inclusion Officer, doing what I can with the team to ensure the arts space I work in, its people, and its programs are as welcoming, and possible for all. What sparked your curiosity and passion for the arts and culture? Humans are inherently creative. No surprise, I fell in love with storytelling at a young age, and was completely enamoured with theatre magic and wanted be part of that world. I love how you leave an extension of yourself when you put something forward in art, in writing, in creation however momentary. I walked away from the arts at a certain point. Or at least, attempted to! The pull was far too strong, so I turned around and ran into its arms. You’re involved in both the deaf and theatre communities. Why is it important to find and be a part of community? Being part of a community is a powerful thing; to connect with others with similar lived experiences, and/or with the same passion, drive, and understanding. That unspoken familiarity of the communities is important to me. Outside the communities, sometimes I have to ‘explain’ what I do, or what/who I am – so in certain spaces, I don’t have to do that and it’s refreshing. I love that I can be present and look around, and know faces and their stories. That feeling of support and belonging is incredibly valuable. It’s very much like an extended family. In 2016 you merged both of those passions and co-founded Deafferent Theatre. How did that come about and what’s been a rewarding highlight of its journey so far? I did an internship and clicked with one of the other interns through our mutual love of theatre. She was studying Auslan (Australian Sign Language), and we started to go on theatre dates. What evolved were our conversations in terms of our experiences of the theatre, and what we’d do to adapt/change/keep. The conversations became more detailed, and we were envisioning theatre where deaf and non-deaf people could experience it. Now we’re in our third year, and what a ride it has been. I adore seeing the space filled with patrons, and watching them leave after the collective corporal experience of theatre, animatedly sharing their thoughts. I also had a moment when an artist who is deaf said to me, ‘I used to think I can’t. But now I know, I can’. As a leader and social pioneer, what fuels your passion for change? Change can happen from one person, but it’s more powerful as a collective. I’m very fortunate and have certain privileges that allow me to lead. Leading is not something I take for granted – how often do you see a leader that is female; deaf; with a disability? I also know that I stand on the shoulders of past pioneers, and will gladly offer a hand for others to stand on mine. Through my work, I’ve seen change happen on micro-level, and a macro-level. It’s almost a simultaneous process. Change can be painful, exhilarating, unknown, and all of the above which may make some scared of it. That’s not to say I waver with every storm. I have my values and stand by them. It’s the improvisation and celebration that I love with change. What is an obstacle you’ve encountered in life and how did you (or are) overcome it? I have micro-obstacles daily from internal and external factors, from managing something I’m anxious about, to working out how to approach or respond to someone may not be aware of my needs. The choices of how I approach or respond is something I work on every day, to do it with warmth and generosity. I look to people who are real, warm, present, and passionate. My role models could be anyone from members of my family, to my peers and my mentors, to strangers on the street. I adore good acts, and we’re all capable of good and kind acts. 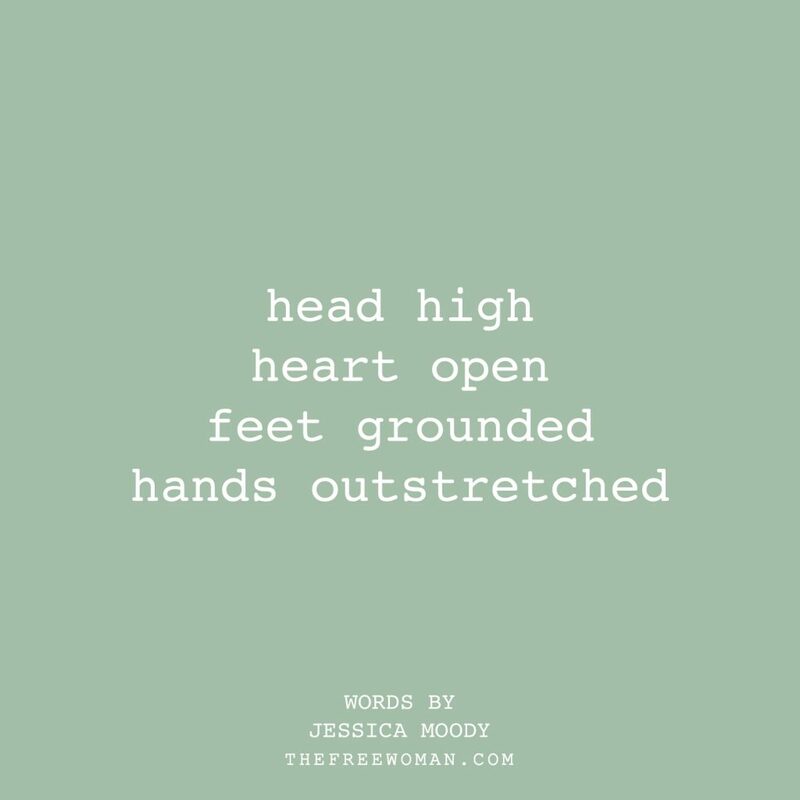 A free woman is one that is able to hold her head high with her heart open, feet grounded and hands outstretched for others. This position is also about acknowledging the privilege of being able to do so. 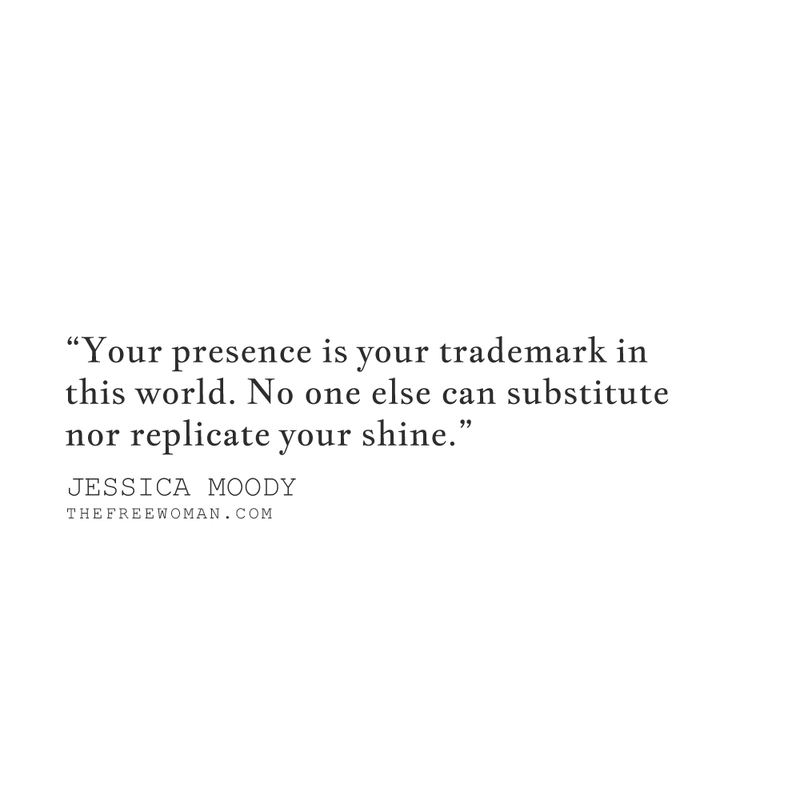 Your presence is your trademark in this world. No one else can substitute nor replicate your shine. MOTTO | At the moment, I’m overusing ‘No sweat’ and ‘100%’. PERSONAL QUIRK | I’m like a human IMDb. Mum would ask ‘I’ve seen that face before’, and I’d be listing their CV before she knows it. EARLY BIRD OR NIGHT OWL | I’m in between. BEST PLACE TRAVELLED | Anywhere in Scotland. MOST MEMORABLE AGE + WHY | 27 (current age) because it’s a work in good progress. 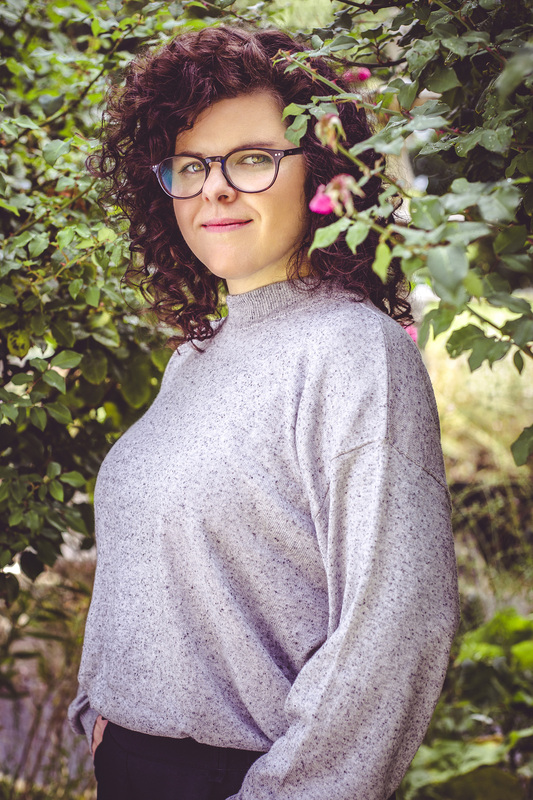 Jessica Moody is an independent theatre maker, director, and consultant. She co-founded Deafferent Theatre, a company rooted in the artistic, and deaf/hard of hearing community. Deafferent Theatre produces bilingual theatre and public events bringing together diverse communities. 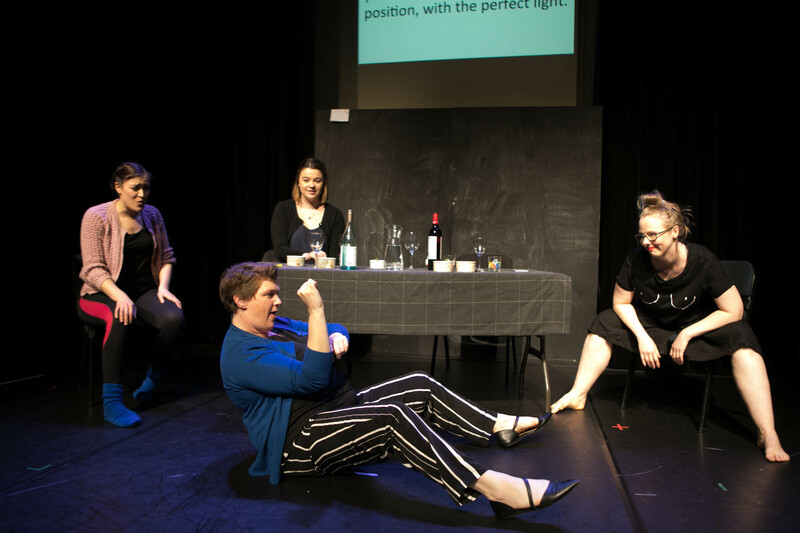 Deafferent Theatre is the Melbourne Fringe Festival winner of the ‘Best Emerging Producer’ award in 2016, and ‘Best Access and Inclusion’ in 2017, along with three Green Room nominations. 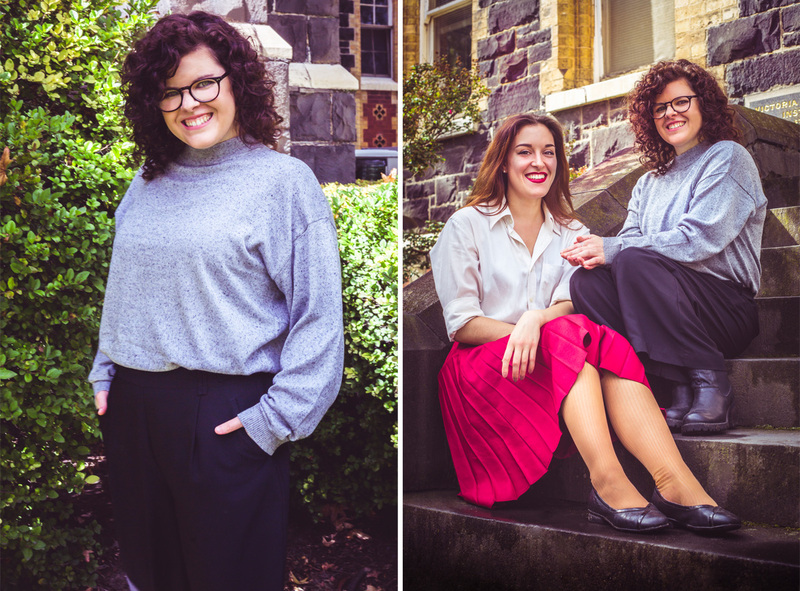 Deafferent Theatre is the one of the 2018 recipients for Malthouse Theatre’s In House Residencies. 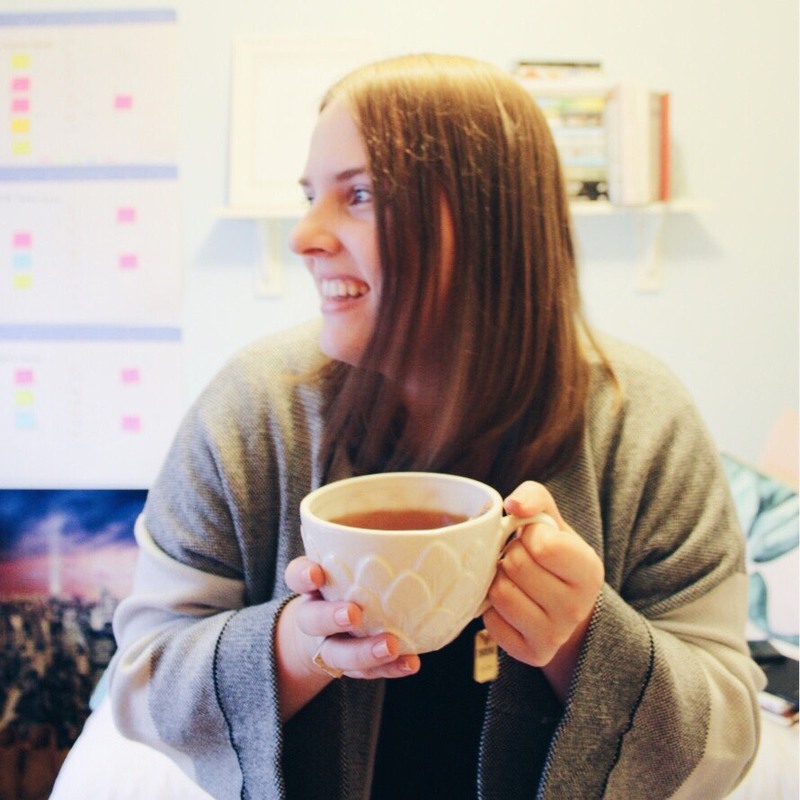 Jessica has also worked with organisations such as University of Melbourne, St. Martins Youth Theatre, Opera Victoria, Arts Access Victoria, and Frankston Arts Centre. She has devised new work with Accessible Arts NSW and Australian Theatre of the Deaf. She was a Young Social Pioneer, a program run by Foundation of Young Australians. Jessica was also a finalist for the Young Victorian Achiever’s Award.